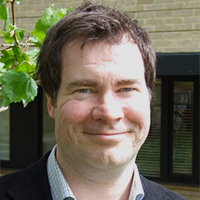 Donal Nolan is Francis Reynolds and Clarendon Fellow and Tutor in Law at Worcester College, Oxford, and Professor of Private Law at the University of Oxford. He previously held a faculty position at King’s College London. He has taught contract, tort, international trade law, restitution and commercial law, and has held visiting professorships at the universities of Florida and Trento. His research interests lie in tort and contract, and he has published on a wide range of topics within those fields, although his current research focus is principally the law of negligence and the law of private nuisance. He is the Co-Editor of Rights and Private Law (2012), and a contributor to Carolyn Sappideen and Prue Vines’ (Eds.) Fleming’s The Law of Torts (10th ed 2011); Andrew Burrows’ (Ed.) English Private Law (3rd ed. 2013); and Ken Oliphant’s (Ed.) The Law of Tort (3rd ed 2015).